The purpose of this page is to help you locate Vista’s new Users folders. It is here in the AppData folder, where Vista stores a user’s Local Settings and Application Data. What we are comparing below is the structure of a user’s local profile on XP, with the same local profile on Vista. As you move from XP to Vista, so Microsoft has made changes in layout of personal folders. Vista has new locations for the storage of Documents, Local Settings and AppData. The biggest change is that XP’s Document and Settings folder has been moved in Vista to a folder called Users. In terms of ‘need to know’, all depends whether you are a user who has lost their files (see screenshot below), or a developer planning to save your program’s settings in a user’s profile. It often helps to have two people explain the same structure, and here is a view kindly sent in by Richard. Problems arise when a Vista user wants to wipe their data; unlike in XP, they can’t just grab "Documents". Now instead, they MUST grab Documents, Music, Pictures, Videos, which are one level higher in the tree than they were in XP. Another source of irritation is that you cannot double click the "shortcut" links. Because they are symbolic links or junction points you are DENIED access. How cool is correcting a minor problem on a server with a couple of taps on your smartphone? Thanks to the Solarwinds Mobile IT Admin App, you can carryout routine tasks with a flick of your fingers on a phone screen. Operate your iPhone to unlock an Active Directory account. Use your iPad to check Windows Updates on your server. 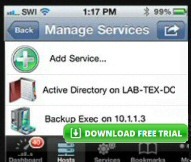 Try Solarwinds Mobile IT Administration App now. 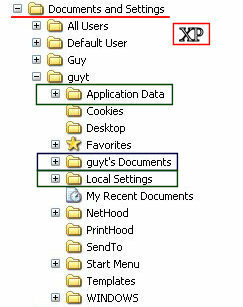 In Vista, the biggest change in the arrangement of a user’s settings is the creation of the AppData folder. Furthermore, this AppData folder has three subfolders, Local, LocalLow and Roaming. As with Local Settings, a folder called Application Data exists in Vista for backwards compatibility with XP. If you look closely at the icons under the Users folder, you will notice that some subfolders have a shortcut arrow. These arrows indicate a Junction point or Symbolic link. 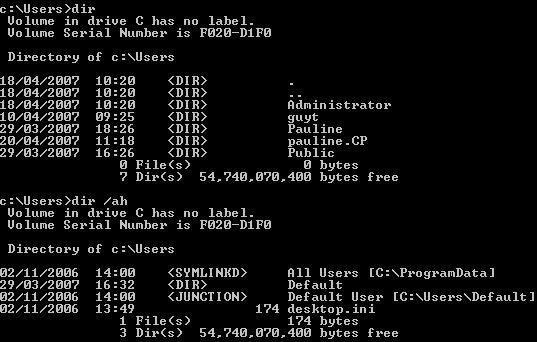 For ordinary mortals stick with the idea that these folders represent shortcuts, for example, the ‘All Users’ settings are now actually stored here –> C:\ProgramData. As far as Microsoft’s technical explanation of Junction Points and Symbolic links, it was a case of ‘Guy is reading, but Guy is not understanding’. The key to moving your personal files to another drive, is to find the Location Tab. The reason is that only special folders have a Location tab; ordinary folders only have 5 tabs. The key phrase is, change in location. Vista has a new Users Folder which replaces XP’s Documents and Settings. Within the new folder structure, Vista has a folder called plain ‘Documents’, which replaces XP’s ‘My Documents’ folder. The most important new subfolder is AppData. Also to maintain backward compatibility, Vista has shortcut links to the old XP folders such as Local Settings and Application Data. Backdoor Logon – Ease of Access! This ebook will explain the workings of the registry. I thoroughly enjoy tweaking the registry, and I want to distill the best of my experiences and pass them on to you. Each registry tweak has two aims; to solve a specific problem, and to provide general learning points, which help you to master regedit.